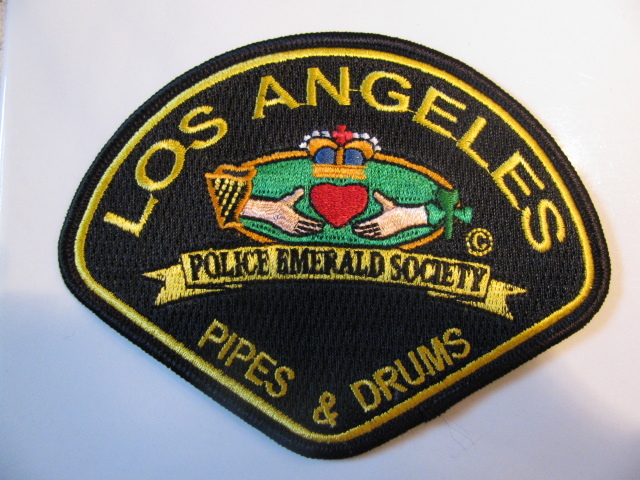 The Los Angeles Police Emerald Society (LAPES) Pipes and Drums is an independent Emerald Society chapter and a member of the National Conference of Law Enforcement Societies (NCLEES). 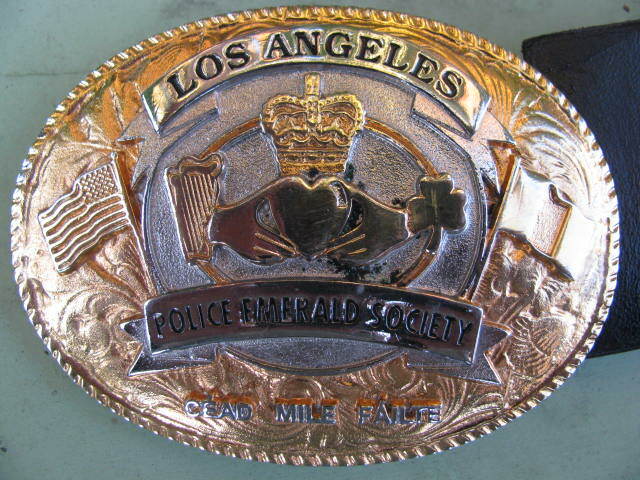 The Band did not start out this way and was orginially a part of the Los Angeles Police Emerald Society. LAPES was first started in 1992, as a non-profit, multi-agency organization with the objective of fostering goodwill among the members of the numerous law enforcement communities in Southern California. 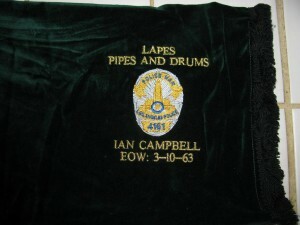 When first formed, LAPES did not have a pipe and drum band. Any functions requiring the need for pipers or drummers would have to be out sourced at the expense of the Emerald Society. Two LAPES members, Scott Walton, a detective with LAPD, and Steve Kirby, a retired LAPD detective, had already started taking bagpipe lessons. Discussions soon started to form an Irish bagpipe band to support LAPES, law enforcement, the military, and the community. By mid-1999, the Los Angeles Police Emerald Society Pipes and Drums was formalized. In May, 2001, the LAPES Pipe and Drum Band made their first trip to Washington, D.C. for National Police Week. Since that time, the Band or its members have participated in every National Police Week. By December, 2010 LAPES Pipes and Drums had grown to over twenty players. In order to continue to grow and realize their full potential the Band decided to form their own independent Emerald Society chapter. By-Laws and a uniform manual was established and an Executive Board elected. The Band applied with NCLEES to become an independent Emerald Society chapter. On Saturday, May 14, 2011 during the NCLEES Fall Conference in Washington DC the Los Angeles Police Emerald Society Pipes and Drums was voted in and approved as their own independent Emerald Society chapter within NCLEES. Pipe Major Scott Walton still serves as the Pipe Major for the LAPES Pipe and Drum Band. 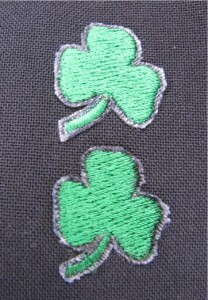 The shirt worn is the LAPD Class “A” long sleeve shirt with the LAPES patch worn on the upper shoulder of each arm. A green shamrock worn on the lower left sleeve represents a “hash” mark for every five years of service with the Band. 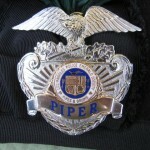 An LAPES Pipes and Drums badge is worn where the LAPD badge is traditionally worn. 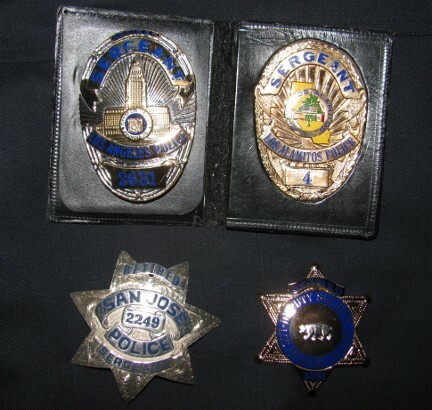 Retired officers from law enforcement agencies wear their badge in lieu of the LAPES Pipes and Drums badge. The Band is currently comprised of active and retired members from the Los Angeles Police Department, Los Angeles County Sheriff’s Department, Los Alamitos Police Department, Pasadena Police Department, San Jose Police Department, and the Drug Enforcement Administration. Belt buckle and cap badge currently worn by LAPES Pipes and Drums. To tell the history of the Irish harp is to tell the history of the Irish people. Legend has it the first harp in Ireland was owned by Dagda, a chief among the Tuatha De Danaan. The Tuatha De Danaan was an ancient race of people in Irish mythology. During a war with the Fomorians, the Gallic gods of cold and darkness, the harp was stolen, but later recovered by Lugh and Ogma, two Gallic gods. When the harp was returned, it had the ability, when played, to call forth summer and winter. From then on when Dagda played the harp, he could produce a melody so poignant, it would make his audience weep, an air so jubilant it would make everyone smile, or bring a sound so tranquil it would lull all who listened to a deep slumber. Thus, the harp became the dispenser of Sorrow, Gladness, and Rest. The harp is a national symbol of Ireland and can even be seen on the Guinness label. 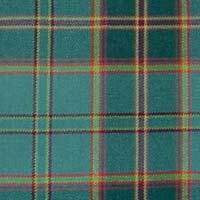 The origin of the sporran dates back to the 14th Century and goes hand in hand with the kilt. Since the kilt did not come with the convenience of pockets, a leather pouch became a useful means of keeping together valuable items such as money, food, or musket balls. The opening of the sporran, the cantle, was hinged and fastened at the top and secured to the sporran by leather thongs. 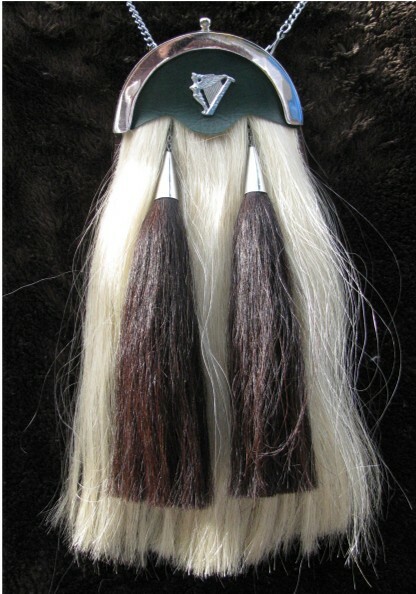 These are represented by the tassels and chains which is still seen in the design of modern sporrans. 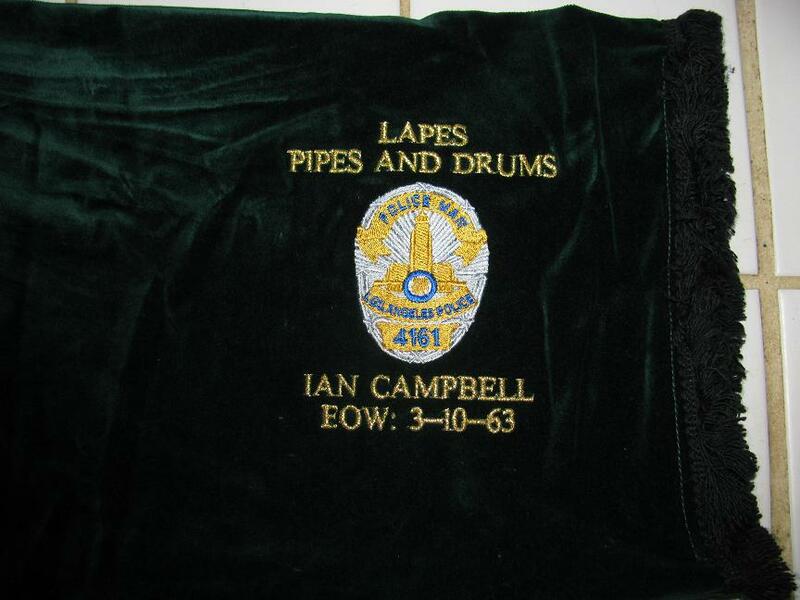 The bagpipe covers used by the LAPES Band were custom made and selected to pay tribute and honor the memory of Policeman Ian James Campbell. Ian was a life-long bagpipe player. On March 10, 1963, while on duty, Ian was murdered. Please visit the “Ian Campbell Memorial” page on this web site for further information. 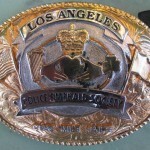 Mention should be given to the Los Angeles Police Department Pipe Band. 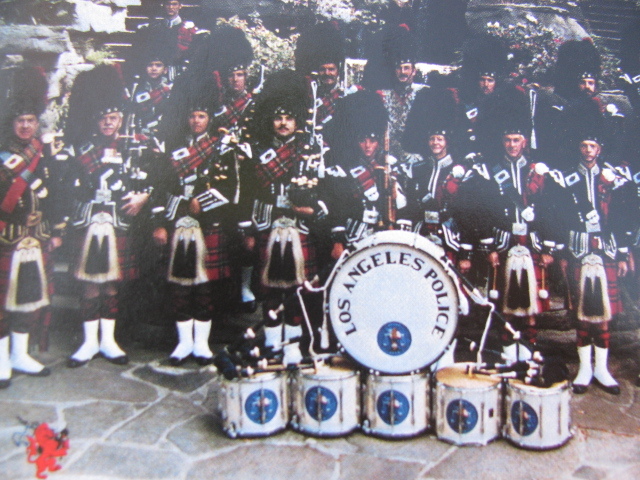 The LAPD Pipe Band was formed in 1978. The first Pipe Major was John Massey. The Band was made up of Grade I and Grade II civilian pipers and drummers from the Southern California area. The LAPD Pipe Band was a Grade I Band. The Band had such notable musicians as Eric Rigler, Aaron Shaw, Seumas Coyne, and Stephen Megarity. The Band was largely financed by donations and was made possible through the generosity of Robert Ahmanson. 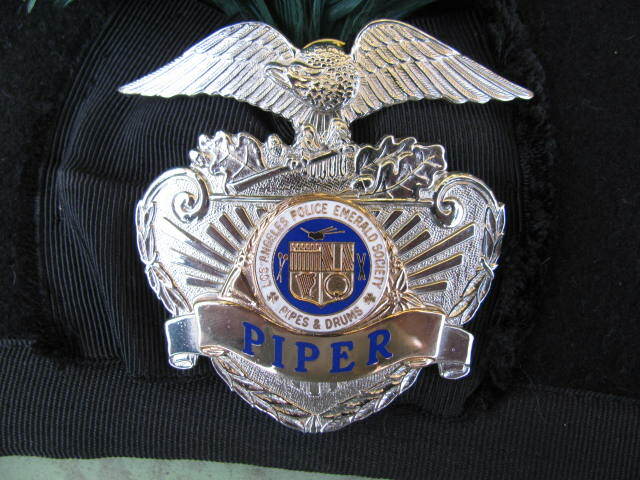 In 2002, due to limited financial resources and personnel issues, the LAPD Pipe Band dissolved. The LAPD Band is no longer in existence. 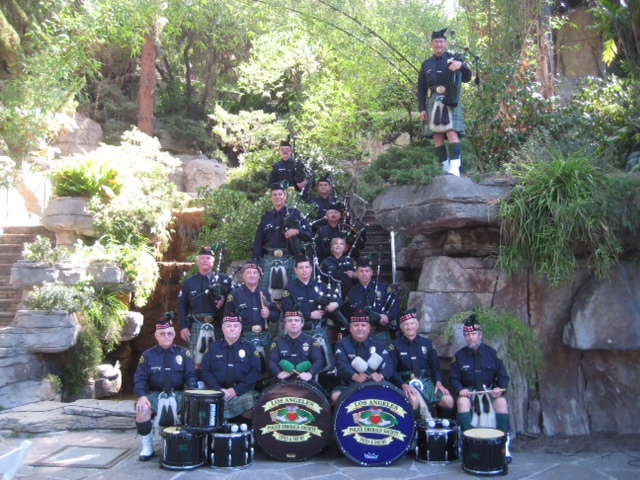 The LAPES Pipes and Drums is the only Pipe Band serving the Los Angeles Police Department.